Wow, what an afternoon! 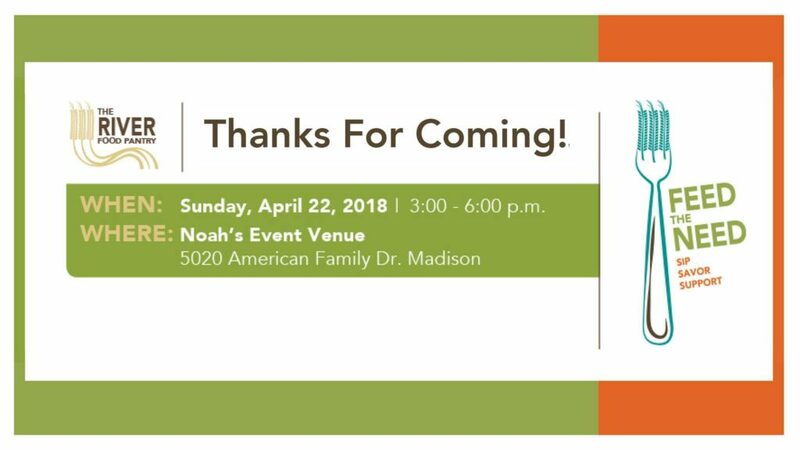 Thank you to Madison Originals , NOAH’S Event Venue , attendees, volunteers, and sponsors for making the third annual Feed The Need an amazing fundraiser for The River! 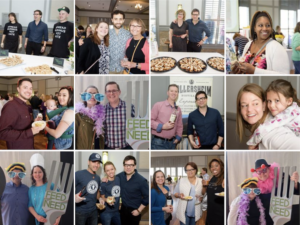 On Sunday, April 22nd attendees enjoyed tasty local flavors from nearly 20 Madison Originals restaurants, distilleries, and wineries, as well as beer from Ale Asylum and orange crush soda from Madison College Culinary Department! The event raised $40,000 which will provide over 2 months worth of food at The River Food Pantry! Special thanks to Kyle Cherek for being an amazing emcee, Expressively You , Althea Dotzour for capturing the memories, and National Guardian Life Insurance Company for being our presenting sponsor! Photos courtesy of Althea Dotzour Photography .